No Sleep November is a Living Room - and Kansas City - tradition. Sponsored by The Brick and Crane Brewing Co.! 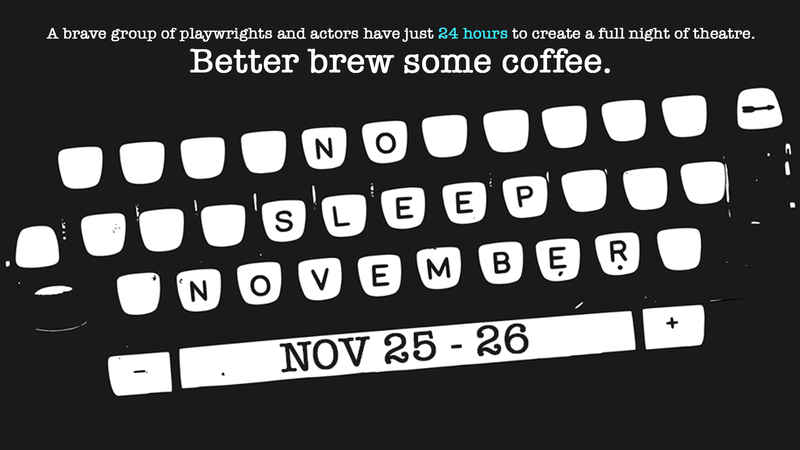 A group of playwrights, actors, designers, and production assistants are given just 24 hours to put together an evening of original short plays. The results are often hilarious, often touching, and always a thrill. Teams are put together and various challenges are assigned at the draft party - Sunday, November 25th at 7:00. FREE ADMISSION! The one-time-only show happens on the 26th at 8:00pm. $25 admission at the door - doors open at 7:30. Featuring brand new works by Emma Carter, Forrest Attaway, Erika Baker, Lewis Morrow, and more to come.